Being part of the U.Lab team brings me to exciting places, where something new wants to be born. 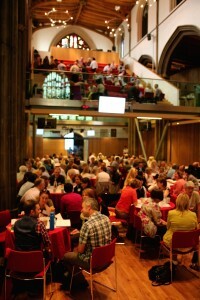 “How does one government work differently with communities to lead change? By using an edX course. The story of how this came about is a story of a country in transition; it’s a story about new forms of leadership; and it’s a story about re-imagining education in a rapidly changing world. It doesn’t happen often. But that’s exactly what Kenneth Hogg, Director for Local Government and Communities in the Scottish Government, told a gathering of 250 people on a recent July morning in Edinburgh. “In recent years,” Kenneth says, “there has been a shift in the social field in Scotland. 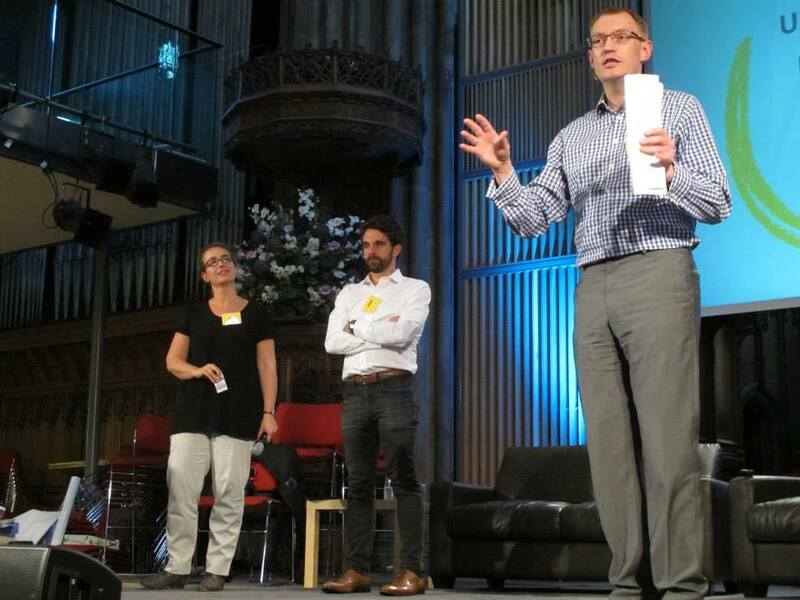 There is a new energy behind change and improvement, and people are engaging in issues that matter to them and wanting to participate in new ways.” Last year, there was a Referendum on whether Scotland should become an independent country. 97% of those eligible to vote registered to vote, and the actual turnout was an unprecedented 85%. The voting age was lowered to 16, which had a huge mobilizing effect amongst young people and society more widely. And 75% of all 16 and 17 year olds voted. 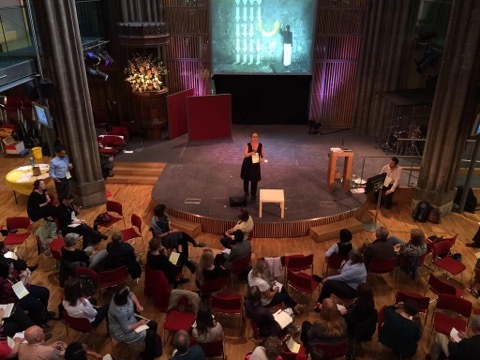 In January 2015, Kenneth and five other civil servants in the Scottish Government enrolled in Transforming Business, Society and Self with U.Lab. “The ideas about leading from a sense of an emerging future really resonated with us,” says Kenneth. “And we liked the focus on turning emerging ideas into tangible action.” After completing U.Lab, all five of the Scottish Government participants came away with the same idea: why not use the next U.Lab (launching next week, September 10th) as a participative method to support people and communities in Scotland to take action on issues that matter to them? Here’s what they did next. In March 2015, the team from the Scottish Government reached out to U.Lab course instructor Otto Scharmer and shared their idea. From March through late August, the Scottish team organized public events designed to “co-initiate” the next U.Lab journey. They first held an information session with civil servants, followed by three full-day community events open to the Scottish public. On June 1st 180 people showed up. On July 4th, 250 people came, and a similar number joined for a final kick-off event on September 1st. 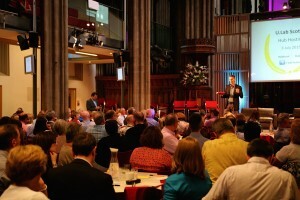 The intention of these events was to co-initiate a connected learning community of U.Lab participants from across Scotland. In Scotland, that’s already leading to new and interesting conversations, as well as engagement and enthusiasm from an incredibly wide range of people, organizations and sectors.